You can either program far in advance with “evergreen” topics that you know will be relevant a month or two from now, or you can program out a week or two and move posts around as new topics and ideas come up. I mostly do the latter, though I do have a couple of posts queued up that could get slotted in anywhere. I use the Topic Notes column like a scratch pad, and initially include everything I think could be relevant to a topic or post. I then continue to add to that topic over time until I’m close to that date and actually sit down to write the post. It’s then that I often realize that the topic might be too broad, in which case I split out some of the notes onto a new day in the future. That is sometimes how a topic series develops – I determine that I have more to say on a particular topic than one post will contain, so I then program out one or more future posts as part of a series. When I sit down to update the editorial calendar I give myself an hour or 90 minutes so that I can be as comprehensive as possible. I do this once every week or two, plus quick updates most days to reflect actual posted information. I also program out time to write the actual posts, striving to have the posts completed at least a day or two before they’re scheduled to be posted so that I can sit with them a while and copyedit without time pressure. Of course, this doesn’t always happen (I do write plenty of same-day posts), but it’s nice to do when I can. 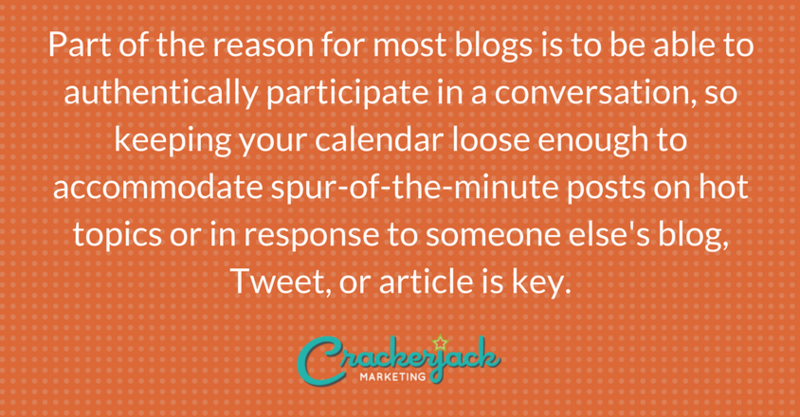 Of course, part of the raison d’etre for most blogs is to be able to authentically participate in an conversation, so keeping your calendar loose enough to accommodate spur-of-the-minute posts on hot topics or in response to someone else’s blog, Tweet or article is key. I never hesitate to push a scheduled post to a future date if I’ve got something I just have to blog about immediately. 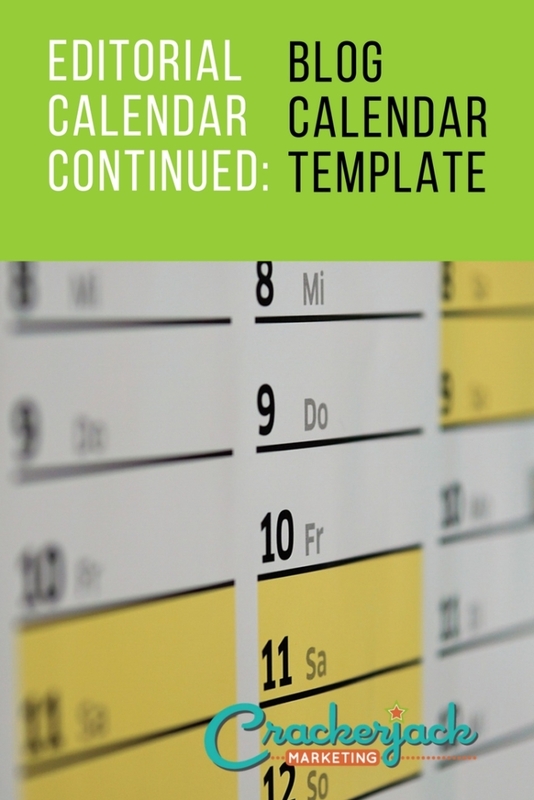 This calendar template is for my personal blogs and may be too casual for some brands. For agency clients I formalize the process a great deal more, scheduling weekly editorial calendar meetings with the blog team (which also go into the calendar), programming out dates that blog drafts are due to a central editor or blog wrangler, and even building in senior management approval time if necessary – just add in columns for those dates. 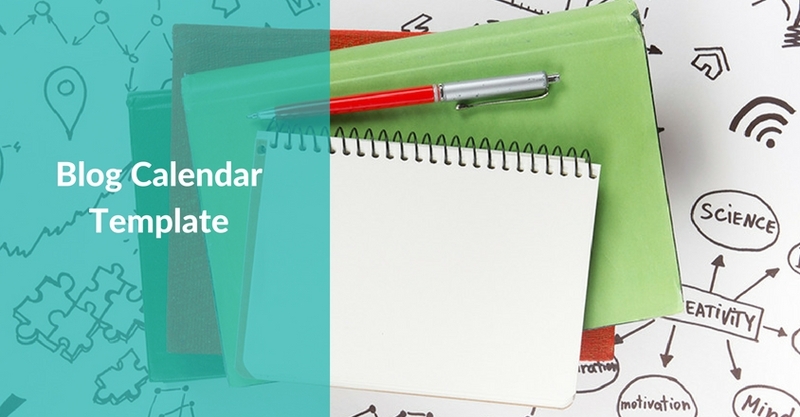 You may have other ideas and needs for your editorial calendar; I’d love for you to tell us how you’re modifying this in the comments below.